Glorification of fisticuffs must come with the Y chromosome. Where men might be moved by the films “Cinderella Man” or “The Wrestler,” I only wince when I see fists meeting face. However, I’m sure most men can’t find the appeal of a rom-com either. The trailer below shows “The Fighter” to be more than the macho name implies. Boxing takes a back seat to drama in the trailer. 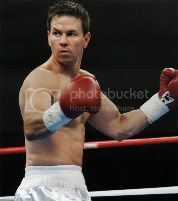 A boxer, Micky Ward (Mark Wahlberg), shoots his mouth off, saying that he will defeat an opponent in the boxing ring. When that doesn’t happen, he is ashamed and vows to give up boxing. However, he is soon met with an offer he can’t resist. Intermingled is the drama a girl (Amy Adams) and his wild half-brother, Dickie Eklund (Christian Bale). Like seemingly every good sports movie, “The Fighter” is based on a true story of boxer “Irish” Micky Ward. “Irish” Micky Ward has been immortalized in song, novels, and video games. While I wasn’t particularly impressed with Wahlberg in the last movie I saw him in (“The Other Guys”), the addition of Bale and Adams make me take the trailer a little more seriously. However, you’ll more than likely be finding me watching a rom-com the weekend this opens. “The Fighter” is scheduled to hit theatres Dec. 10 and is directed by David O. Russell (“I Heart Huckabees”). Follow Allison Higginbotham on Twitter at http://twitter.com/allisonbh.